4k00:09Colorado, USA-November 26, 2017. POV point of view - Driving West on highway 470 at he beginning of the Winter. 4k00:45Denver, Colorado, USA-May 27, 2018 - Driving on interstate highway in the mountains. hd00:30Driving through Badlands National Park in South Dakota. hd00:09Video of a large forest fire in central Utah. Road blocked in Canyon. Road blocked by safety vehicles. Wasatch Front. Rekindle Photo. 4k00:12JOSHUA TREE, CALIFORNIA, UNITED STATES OF AMERICA - NOVEMBER 6: Time lapse of Cars driving and people walking on a asphalt road in Joshua tree national park, in California, United states of america. 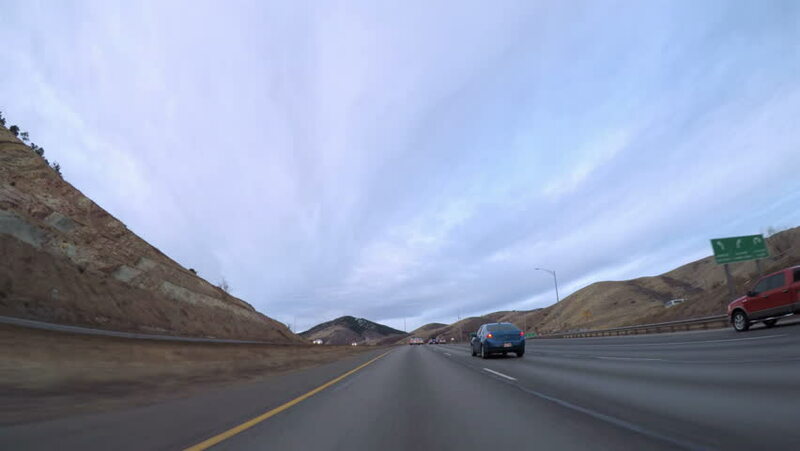 4k00:18AGOURA HILLS, CALIFORNIA, USA - July 20, 2015: Rear view time lapse on the Ventura 101 freeway in suburban Ventura County, California.